The median home value in Middle Village, NY is $810,000. The national median home value is $185,800. The average price of homes sold in Middle Village, NY is $810,000. Middle Village real estate listings include condos, townhomes, and single family homes for sale. Commercial properties are also available. If you see a property you’re interested in, contact a Middle Village real estate agent to arrange a tour today! 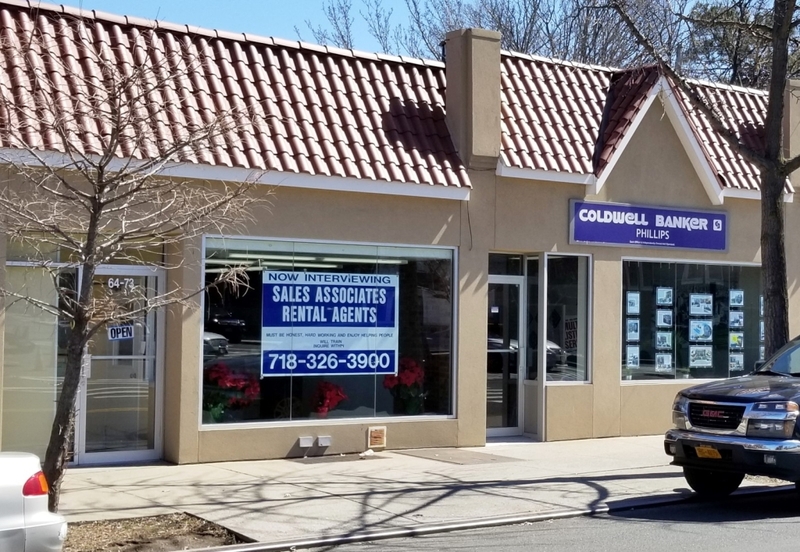 Learn more about Middle Village Real Estate. Beautifully maintained, legal two family! Two, 2-bedroom apartments and full unfinished basement. Close to subway and Metropolitan Avenue shopping. Nice yard. Beautiful Brick 1 family Colonial featuring large open layout w 3 bedrooms, 2 full baths, Large backyard, Full finished basement, private driveway & garage. Conveniently located near public transportation, Schools, shops and much more. This Well Maintained Semi-Detached Colonial Offers A Foyer With Large Coat Closet, Enclosed Front Porch, Living Room, Formal Dining Room, Eat-In Kitchen With Oak Cabinetry, Chestnut Banister, Three Bedrooms, One Full & One Half Baths, Partitioned Basement, Security System, Parquet Floors Under Carpeting On First Floor, Skylight, Yard Space, Detached One Car Garage, & Storage Shed! Located Near Shops On Metropolitan Avenue, Local Buses, M Train, & Juniper Valley Park! Cozy and well maintained home w/ wood floors throughout, eat-in kitchen, extension w/ exit stairs to full finished basement, w/ 2 meters, shared party driveway w/ solid garage. Steps to markets and Juniper Park, easy access to highways, Trader Joe's and more! Colonial 2 Family Features Living room, Eat-In Kitchen, 2 Bedroom & Full Bath on the 1st Floor. Second floor features living room, Eat-In Kitchen, 3 Bedrooms & Full bath. Full Finished basement, Garage with private driveway and deck. "L' shaped lot. Close to transportation and shopping center. This beautiful well-maintained 1-family brick home features a 1-car garage, front porch, rear patio, sunken living room, three (3) bedrooms, full & finished basement with bath, freshly-painted walls, newly finished wood floors, lots of closet space, gas heat, and a convenient location close to shopping, transportation, & half-block from Juniper Valley Park! Location, Location, Location!! Beautiful 3 Bedroom With 2.5 Baths, CAC units, Full Finished Basement, Private Backyard, Eat In Kitchen, Driveway, Garage And Much More!! Near The Highly Desirable Juniper Valley Park. Don't Miss This One!! Attached Legal 2 Family House in Middle Village. Recently updated kitchen, hardwood floor, skylight in bath, double access to backyard, Private Driveway, Conveniently Located and close to all...Call N O W ! Stately one family home offers a spacious living room with Monolithic Dome Window floor to ceiling, along with a kitchen drenched in natural light, adjoined with a formal dining room, 3 Bedrooms master with balcony, 2 full baths. Finished basement, with laundry room, and an one car garage, outside entrance leading to a fenced in yard with patio. Located close to all - Expressway, shopping, desirable school district, Juniper Park,bus to Manhattan,& minutes form R & M line. WON'T LAST! This two family home is situated on a quiet tree-lined neighborhood close to Metropolitan Avenue retail shops, dining and conveniences. Steps to Atlas Park Mall and Juniper Valley Park. This home is perfect for a family looking to renovate and add their personal touch. Property has lots of potential! Beautiful semi-detached one family brick house nestled in the heart of Middle Village, 2 blocks away from the renowned Juniper Valley Park! The property boasts a huge living room offering a substantial amount of light, with a separate entrance to the backyard, sprinkler system, 3 bedrooms, walk-up attic with a considerable amount of storage. Conveniently located near shopping centers, supermarkets, restaurants, top rated schools, express buses to Manhattan, local buses, and highways. Sold as is. Rare Detached 2 Family Home in Middle Village near public transportation and shopping. Interior features 4+ bedrooms, large living rooms, large dining rooms, bath with Jacuzzi tub, eat in kitchens and full basement. Updates include: roof, gutters, windows, H/W heater, backyard deck, newly carpeted and freshly painted entranceway. Wonderful and rarely available semidetached 1 family brick home with 3 large bedrooms, 1 full bath, 2 half baths, finished basement, private driveway, private backyard. General good condition, needs cosmetic repairs. Anderson windows, 5 year old roof, modern gas heat, brickwork recently pointed. Top residential Middle Village block close to all, Q38 and Q54 buses, Juniper Park, Metro Mall, and the M train at Metropolitan Ave. Professional interior photos coming soon. Calling All Investors! Cash Only. Property Needs Total Renovations. Property is Sold As-Is Condition. Roof Is About 5 Years Old And Most Windows Were Replaced With Anderson. Property Is Zoned For 2 Family And Can Be Converted W/Proper Permit. This semi-detached two family frame colonial offers six rooms over five, one semi-modern bathroom & one brand new bathroom, full finished basement with half bathroom, separate heating units & water heaters, & a rear yard that can facilitate two cars if needed! Located near M Train, shops on Metropolitan Avenue, Juniper Valley Park & PS/IS 128!